Technology may change – but our aspirations certainly don’t. The automotive world is currently undergoing a rapid and major transformation. Driven by inquisitiveness and the power to innovate, Mercedes-AMG is redesigning the future of performance-oriented mobility. Here, our constant aim of redefining what is possible in everything we do is a reliable signpost for the future. This also applies to lightweight design. Mercedes-AMG is also translating its unique competence in the field of race-tested lightweight design concepts into the series production vehicles of tomorrow. – We are driving the future of performance. The world is in the throws of dramatic change. The current megatrends – connectivity, automation, shared mobility, e-mobility and digitalization of the product creation process – have a direct impact on the world of CAE: Time to market, flexibility in product development and integrated data management are all areas that are becoming increasingly important. The integrated, holistic digital assessment of each material is the enabler for modern lightweight car body production. For example, digital replication of the process chain enables the use of dual-phase steels with improved ductility in the new A-Class. As a result, despite the increases in safety requirements and the larger vehicle dimensions it has been possible to reduce the weight of the body. The Digital Prototype 4.0 brings together the physical world with the virtual world and makes them inseparable – way beyond the development phase. A key point is further expansion and networking of digital mapping of the influence of production factors on the function of individual components and the overall vehicle, for example casting, forming, folding, rolling, welding, punching and surface treatments. The “digital material” plays a special role here. Before new body materials are used, the process needs to pass through a so-called Material Release Process, in which among other things suitable material models are derived so that e.g. formability or failure behavior in a crash can be modeled and consistent CAE capability can be achieved. Future body structures of fully-electrified vehicles will need to absorb increased impact energies in crash-sensitive areas due to the additional weight of the battery and the resulting increase in vehicle weight. Conventional metallic structures reach their limits here; one possible alternative technology is the local application of fiber-reinforced composites onto highly-stressed metallic components or assemblies. Starting from an analysis of the potential areas of application for this technology and a presentation of the boundary conditions of the process, selected investigation results are shown and the potential is presented on the basis of an application scenario. Herr Dr. Fischer studierte Chemie an der Leibnizuniversität Hannover mit anschließender Promotion. Über das Laser Zentrum Hannover (Aufbau und Leitung der Gruppe „Laserbearbeitung von Faserverbundwerkstoffen) und die TU Braunschweig (Abteilungsleiter Klebtechnik, Strahltechnik und Faserverbundmaterialien) kam Herr Dr. Fischer zur Volkswagen AG und ist dort für den Bereich Fertigungstechnologien mit dem Schwerpunkt Leichtbauwerkstoffe und Fertigungstechnologien für die Automobile Großserie verantwortlich. As a result of more stringent requirements for improved fuel economy and emissions, it is required to establish a method to develop light weight vehicle structure. This presentation describes a methodology to develop light weight structure based on earlier generation model (in this case for SUV side impact) and new styling to reduce mass. It is important to study influence of styling difference in vehicle development especially at the planning phase. Currently there is no fast method to determine mass difference due to safety requirement for styling change. In the conventional method, it was required to release the new drawing CAD data fitting to new styling, and build the new FE model and submit simulations for every styling idea of vehicle. And from these result, it was necessary to study how much additional mass should be required for the target vehicle which has new styling. The method discussed in this presentation enables to estimate the influence of new styling to the SUV side impact performance of body structure with a parametric model which has 3 design variables. As a result of this model, the influence of styling was clarified for the SUV side impact performance of body structure. A method was established to estimate the influence with response surface method. This enabled estimation of required section capacity of B pillar for the arbitrary set of design variables on a response surface, and B pillar cross section strength target was defined. Additionally, a method is described to satisfy the target with parametric CAD and machine learning. It is observed conventional method of cross section capacity cannot estimate section strength precisely for high strength steel, and there is expanding usage of ultra-high strength steel for safety applications. Simulations were conducted, consisting of 100 cases of B pillar component model with parametric CAD and 3 design variables. From these simulation results, cross section strength was estimated with arbitrary set of design variables using machine learning. Finally, accuracy was confirmed between FEM model and machine learning model. The presentation deals with modern aspects of lightweight construction in the face of the special challenges faced by the automotive industry today. There is a special focus on the intersection to battery-powered vehicles, their usefulness and future viability – and the associated challenges for lightweight construction. Particular aspects discussed include structural-mechanical aspects of modern lightweight construction, material selection and further aspects of structure monitoring, as well as closing the so-called lightweight cycle of self-repair. This is the only way to ensure that lightweight construction can be cemented as a key technology for modern automotive construction in the 21st century and reinforce its importance for reducing harmful pollutants and all emissions. The challenges posed by the claimed – and possible – series production of battery-powered vehicles, but also of other drive concepts that are very promising for large series production and for the management of economically and ecologically important aspects for the future are specifically addressed. Lightweight construction is therefore the key technology for the entire automotive cycle, particularly taking into account the paradigm change that needs to take place to ensure that the vehicles we build are much lighter and much more efficient. 1995 - 1999: Wiss. Mitarbeiter am Institut für Schweißtechnik der Technischen Universität Clausthal. Geschäftsführer SFB 362 „Fertigen in Feinblech“. High development costs and expensive components like the battery are set to shift the focus of electric vehicle development away from lightweight construction toward cost optimization. The demand for cost-effective lightweight construction, which has always been the domain of high and super-high-strength steels for cold forming and hot working, will rise. Today, high lightweight construction potential, attractive lightweight construction costs, secure production processes and good crash performance all combine to make high-performance steels the ideal material for, among other things, central body and drivetrain components that face special crash requirements, such as the battery housing. Holistic lightweight construction approaches that combine the materials, technology and design aspects are particularly promising. The „The Mobility Alliance“ – formed by Henkel and RLE, arose from a mutual understanding of the engineering challenges that the automotive industry is facing. New material and design solutions are required to reduce weight, increase safety, enhance durability and meet strict environmental regulations. Our approach gives a fresh new perspective on innovative automotive engineering and enables next-generation structural solutions. The automotive lightweighting study by Henkel and RLE leverages the synergy of a specially developed lightweight structural foam technology from Henkel in combination with advanced engineering design by RLE International. Raoul Abas is Engineering Principal in Global Engineering Center at Henkel in Munich. He is the lead engineer for testing and simulation of Henkel structural reinforcement applications. Raoul has 19 years of experience in Automotive industry. 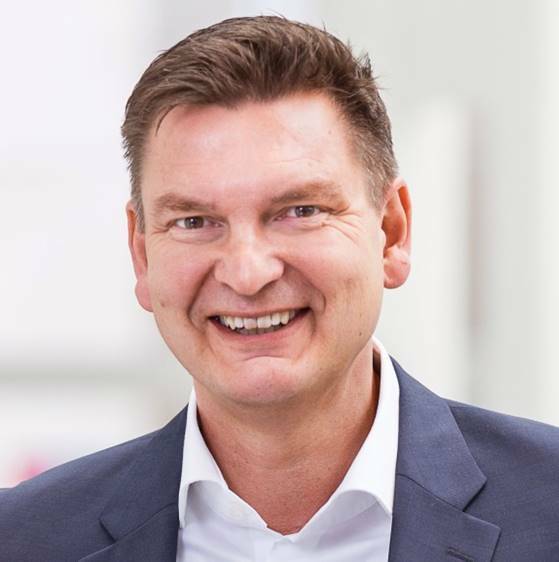 Before he joined Henkel in 2012, he held roles as CAE Engineer and latest as Project Leader for CAE Commercial Vehicle at EDAG in Sindelfingen, Germany. He holds Diploma in Mechanical Design from Polytechnic for Manufacturing in Bandung, Indonesia and Diploma in Automotive Engineering from the University of Applied Sciences in Esslingen, Germany, as well European Adhesive Engineer (EAE) from OFI Vienna, Austria. 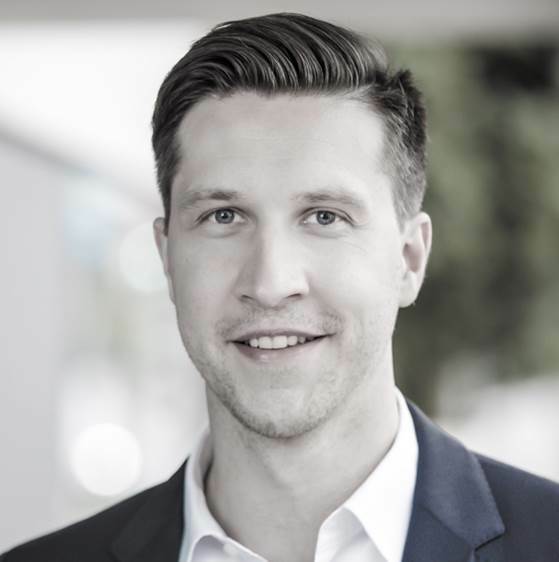 Tobias Wigand is Technical Unit Leader – Advanced Material Concepts at RLE International in Munich. He joined RLE in 2014 and has developed and launched several body designs over the past five years together with various premium car manufacturers. Tobias has eight years experience in automotive, including BIW and electronic components, such as connected electric motors. He holds a diploma in Mechanical Engineering from the University of Applied Sciences in Würzburg-Schweinfurt, Germany. Weight reduction and crash performance are pushing car manufacturers towards materials with higher strength that offer solutions to this conflicting demand. SSAB has developed new high strength cold forming steel grades for modern light weight chassis and bodies that have drawn attention from the Automotive Industry. In order to understand differences between different types of steels, edge ductility, formability and fatigue properties of the new steel grades have been tested and are compared with established high strength steel grades. The results of this study give a comprehensive understanding of new possibilities for designers and manufacturers to identify the right material for the right application. Also, it shows the potential of martensitic UHSS for battery protection systems in electrical vehicles. Speaker: Richard Yen | Altair Engineering, Inc.
Having more than 30 years with Altair, Mr. Yen is currently leading the Global Industry Verticals Team with his specialty being in the Automotive segment. The Team is responsible for identifying the major trends, challenges and requirements of industries, formulating go-to-market strategy and optimizing business value by strategically aligning Altair’s technologies to maximize opportunity and deliver a unique value to our customers. Mr. Yen has held various leadership roles within Altair, including product and project management of Altair’s flagship modeling and visualization software, engineering consulting operations, business development, global automotive centers of excellence and overseas business expansion assignments in Japan, Greater China, Asia-Pacific and later in European regions. Mr. Yen earned his Master’s Degree of Mechanical Engineering from the University of Michigan. Jose Bautista is a product manager with global business development responsibility for body-cavity baffles and panel-damping technologies at Sika Automotive AG. With Sika since 2016, he has been focusing in successfully bringing Sika’s latest acoustic product innovations to the automotive industry. Before joining Sika José has worked over 12 years in the areas of Product Portfolio, Sales and Project Management in the semiconductor and automotive industry. Yogesh Kumar is an experienced simulation engineer, currently working as a technical service engineer at AKEU. He is responsible for providing simulation support such as MoldFlow, FEA, Design Optimization, metal-to-plastic replacement to European customers. Previously, Yogesh has worked as a simulation engineer for an Automotive supplier in Nuremberg. He graduated from Friedrich–Alexander University Erlangen-Nuremberg with a master's degree in Computational Engineering. Before that, he has also done masters in manufacturing & automation in India. A material concept developed by KAMAX for connecting elements combines high tensile strength properties with extremely high toughness and ductility. With this concept, tensile strength classes of up to 17.8U can be attained. With connecting elements with such high strengths, there is potential for downsizing and lightweight construction not only on the connecting elements themselves, but also on the components being clamped/surrounding components (for example through structural optimization). In chassis applications, connecting elements in the tensile strength class 15.9U can be reduced by a size (e.g. from M14 to M12), which means significant weight savings. Choosing ultra-high-strength connecting elements can also lead to a reduction in the number of connecting elements that are required, which allows further savings to be made in terms of cycle times (assembly time). There are other advantages in applications with packaging space restrictions and in terms of preventing the need to upsize connecting elements in order to meet increased clamping force requirements. Nach dem Maschinenbaustudium an der FH Gießen Friedberg begann Mario Braun seine berufliche Laufbahn als Project Manager bei der S + R Maschinenbau GmbH. 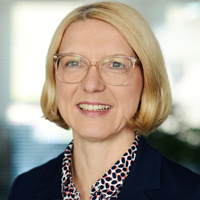 Er wechselte dann zu KAMAX in den Bereich Anwendungstechnik und ist über verschiedene Führungspositionen im Vertrieb heute als Vice President Product Management für die Produktentwicklung verantwortlich. Mario Braun ist 46 Jahre alt, verheiratet und Vater von zwei Söhnen. Faster and more inexpensive manufacturing solutions that do not necessarily require flush cooling can be used for metal cutting in the production of structural parts made of aluminum. However, the use of these solutions for dry machining places complex demands on the individual assemblies in a machining center. Particularly in terms of the minimal stiffness required for the drives, spindles, portal and guides, the machine needs to be perfectly designed and set up beforehand. This can be calculated in detail in advance using complex simulations. The machining process is also influenced especially significantly by the installed spindle, the tool and the cooling, whether with minimum quantity lubrication or using a special coolant distribution system. In addition, the selection and prior simulation of the milling strategy is decisive for machining quality and speed. Starting from the evolving requirements in terms of the geometry and weight of thin-walled aluminum cast parts, the procedures for producing the cast parts for conventional low-pressure sand casting and also for the use of additive manufacturing of sand molds and cores is presented. Studierte an der RWTH Aachen und promovierte an der TU Magdeburg im Bereich Fachdidaktik der Gießerei-Technik und hat in Zusammenarbeit mit verschiedenen Instituten Forschungsprojekte im Bereich der Gusstechnik durchgeführt, u.a. im Hybridguss. Seit 2001 Projektleiter und Leiter des Vertriebs bei Grunewald in Bocholt. Jürgen Wesemann studierte Physik in Marburg und Bonn und schloss das Studium 1991 mit einer Diplomarbeit am Institut für Physikalische Chemie der Universität Bonn ab. Anschließend forschte er am Max-Plank-Institut für Eisenforschung in Düsseldorf über intermetallische Legierungen. 1996 promovierte Herr Wesemann an der Technischen Universität Clausthal zum Doktoringenieur. Seit 1997 arbeitet er in der Forschung und Vorausentwicklung von Ford Europa. Herr Wesemann ist Technischer Leiter Materialkonzepte und für die Abteilung Vehicle Technologies & Materials zuständig. In the growing market for e-bikes, the weight of the drive unit plays an ever more important role. Despite the constant rise in performance and the high mechanical strains and stresses, the housing and gearbox components need to be made using lightweight materials. The example of a magnesium housing highlights the opportunities and limits of lightweight construction under the dynamic loads encountered in e-bike applications. Due to the legislative trend on reducing tailpipe emissions more and more electrical vehicles are entering the market. Also for these type of cars weight reduction will play a role and safety requirements should be met. However the position of the heavy weight battery and the disappearance of the combustion engine in the front will have a major impact on the body structure. The heavy weight battery will cause a larger impulse in crash. No engine in the front will result in a shorter front structure. This results in a much shorter intrusion distance that must absorb a higher crash energy. This can be met by increasing the gauges of the crash absorbing elements. This opens opportunities for hot rolled material. In this presentation new hot rolled steel grades will be introduced up to 1000 MPa strength level that are well suited for carbody applications in order to meet crash requirements. Lightweight construction is becoming ever more important in the automotive sector. To ensure a lasting reduction in carbon footprint, it is important to replace solutions that are based on finite resources – such as carbon and glass fibers – with preferably environmentally friendly alternatives. With the new Porsche 718 Cayman GT4 Clubsport, a racing car was presented in January 2019 for the first time in which the doors and rear wings are manufactured from biofiber-reinforced composites as standard. The parts were designed as part of an R&D project by Porsche and the Fraunhofer Institute for Wood Research (WKI) with financial support from the German Federal Ministry of Food and Agriculture via the German Agency for Renewable Resources, and they were put to the test in the racing cars of Four Motors under harshest conditions on the Nürburgring racetrack. Thomas von Löwis of Menar war von 1987 bis 1992 als Fahrer in der Deutschen Tourenwagen-Meisterschaft (DTM) aktiv. Seit 2003 startet er gemeinsam mit Smudo von den Fantastischen Vier mit verschiedenen selbst konfigurierten Bioconcept-Cars bei der VLN Langstreckenmeisterschaft und beim 24h-Rennen am Nürburgring. Als grüner Pionier nimmt er eine Vorreiterrolle im Motorsport ein und arbeitet mit seinen Partnern stets an der Entwicklung und Weiterentwicklung nachhaltiger Hochleistungstechnologien im Automotive-Bereich. The vehicle of the future is electrified, digitally networked, often drives highly automatically and can be shared with other users. Manufacturers implement segment and market-specific lightweight design strategies in these vehicles. Due to the increasing demands for efficient use of resources, lightweight design know-how and materials competence remain strategic levers that will ensure cost-effective production for the technology leaders. EDAG uses verified simulations to show that lightweight design continues to make sense in urban electric vehicles from an energy perspective. A weight reduction of 100 kg saves around 4-5% of the drive energy requirements in real-life applications. This makes it possible to install smaller batteries without shortening the range of the vehicle. A scalable floor assembly for electric vehicles that ensures low market access was developed as the starting point for collaboration with new market players and for internal research purposes. In the future, it will be possible to implement new carbon-based concepts with the aid of the recycling economy in order to achieve sustainability for the entire product lifecycle. These are ideally suited to vehicles for car sharing. research projects: FiberEUse, CustoMat_3D, etc. New design principles, more efficient construction methods and innovative manufacturing techniques are presented for fiber composite components with continuous fibers. Systematic application of these methods and techniques leads to lighter, stiffer and stronger fiber composite components, optimized material usage, lower weight, reduced component distortion, lower waste and simplified application techniques for the individual layers. The methods are suitable for production processes like RTM, wet pressing or the processing of prepregs. They were developed by a team headed by Prof. em. Stephen W. Tsai from Stanford University, registered for patent application, further developed by an international research and industry consortium and distributed internationally. Electro-mobility is a game-changer in many respects and it is important to understand the impact that the conversion to electrification has on the key materials and the forming process involved. Electrification solutions undoubtedly adds mass to a vehicle and using the right lightweight materials enables offsets to achieve better range. A fundamental shift in the types or form of materials can leave current suppliers vulnerable if not aligned with required transitions. DuckerFrontier - previously well-known as Ducker Worldwide - has analyzed the changes that can be expected in select components, highlighting high-level results to ultimately help your strategic planning efforts. Managing Director within DuckerFrontier (previously Ducker Worldwide), Hélène Wagnies heads the EMEA Automotive and Materials practice. Building upon a 15-year experience in bespoke B2B market research and consulting, Ms. Wagnies is dedicated to advise international clients in their growth strategy. E-Mobility provides significant opportunities for rethinking concepts for vehicle structures and vehicles systems in order to save weight and to improve the total design balance. This does not only apply to the classical BiW structure of a vehicle but also and in particular to structures and system associated with the electrification and of the integration of electrification into the vehicle. Weight reduction can, however, only be accepted if technical and cost targets are still obeyed or if such targets are changed. Simulation-driven design and in particular multi-physics optimization provides a methodology to efficiently study weight, cost and technical performance implications to larger or smaller design changes. Design exploration can be executed to let design managers and other stake-holders view the complete consequences of changes and thus take more informed design decisions. The presentation will show an example of multi-physics design optimization applied to an E-motor for the automotive industry. It will also provide information on how such multi-physics design process can be generalized to be applied to other design problems and/or to different OEM requirements. 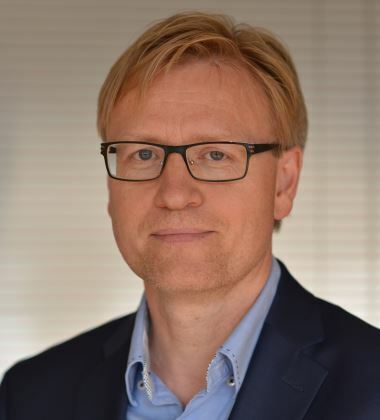 Dr. Lars Fredriksson ist bereits seit 1996 für Altair in verschiedenen Positionen in Schweden und Deutschland tätig. Derzeit ist er Vice President - Simulation Driven Innovation und sitzt in Altairs deutschem Hauptsitz in Böblingen. Er hat seinen M.Sc. (Civilingenjör) 1989 an der Universität Linköping absolviert, sein Doktortitel im Bereich Maschinenbau, Solid Mechanics wurde ihm 1996 ebenfalls von der Universität Linkköping verliehen. 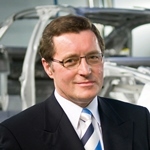 Speaker: Heinrich Timm (Chairman) | Carbon Composites e.V. Due to their superior strength to density ratio fibre reinforced plastics (FRP) provide a high performance for energy dissipating parts and are consequently ideal for lightweight design for crashworthiness. However, due to the complex inner structure of FRP parts the prediction of the mechanical behaviour in simulation under crash loading is still challenging. Using multi-scale approaches taking into account different level of information, like micro-scale and meso-scale offer new possibilities but also provide new challenges. How to get a proper virtual model of the complex fibre architecture on meso-scale? How to identify predictive mechanical properties on micro-scale? Therefore, this presentation will demonstrate a general modular concept for the derivation of the complex inner fibre structure of FRP based on manufacturing simulation and the determination of fracture curves using virtual testing on micro-scale. The latter is subsequently used to determine the parameters of PUCK’s law for inter-fibre fracture. Finally, the two approaches are combined to demonstrate the potential of a multi-scale-approach for a filament wound tube under axial crash loading by comparing the results obtained by simulation with experimental data. In addition, it will be shown how the approach can be used to represent various manufacturing processes i.e. braiding or different base materials. To date, lattice structures have been used in additive production mostly out of technical necessity in the form of supporting structures. However, in addition to this they also offer major potential for improving the mechanical properties of the additive structure. In order to take full advantage of this potential, the consultancy firm Leichtbau-Zentrum Sachsen has developed an efficient methodology that – for the first time – allows locally variable lattice structures to be included and reliably designed, thus opening up the possibility of additively manufactured structures with significantly better load-bearing properties. seit 2011: Geschäftsführer der Abteilung CC Ost des Carbon Composites e.V. seit 2017: Geschäftsführer der Fachabteilung CC BAU des Carbon Composites e.V. The problem is an old one: Engineers focus on the design, are required to meet the functional requirements and end up needing more material. The business side focuses on costs, needs to prevail against the competition and ends up insisting that less material is used. This results in a never-ending conflict. So what can be done? You need to optimize your topology. This will allow you to find the highly-stressed areas in the field of tension between the point where the load is introduced (= action) and the point where the load is absorbed (= reaction), reinforce them and satisfy the load-bearing requirements. But more still: You will also be able to find areas that are not pulling their weight, eliminate them and free the construction from unnecessary materials that are effectively acting as ballast. With this, you will be taking huge steps toward finding the perfect balance between technical and commercial requirements. What can you expect from this presentation? You will learn one thing: the dominant principle of topology optimization. Nowadays, several metal parts of the vehicle has been already replaced by their composite material version and now we believe it is time for chassis components to give their contribution as well. This has steered the Magneti Marelli  ’s choices along two main stands for composite materials: parts realized through injection molding of thermoplastic - mainly PA or PPA resin - reinforced with short fibers, and the molding compression of thermoset pre-preg - mainly vinyl ester resin - reinforced with a fiber length between one or two inches (chopped fibers). Magneti Marelli is widely experimenting these processes to replace their suspension structural parts with their lightweight counterparts. The combination of fiber-reinforced top layers with a lightweight foam core combines high strength and stiffness with low component weights. However, it is anything but straightforward to combine anisotropic fiber-reinforced materials with lightweight and inexpensive foams. A coordinated material system now enables processing using a high-pressure resin injection system at low temperatures and pressures and within short cycle times. The presentation introduces the functionality of the Total Materia database from the perspective of optimizing properties like weight through suitable selection of materials. Alongside a brief outline of other aspects of the database that are designed to provide the global engineering community with the material properties for thousands of highly varied materials that are needed for advanced technical calculations and simulations, this article describes options for comparing and analyzing material properties and their relationships, in particular when normalized for density and weight. This material selection process can be structured using various integration methods for the latest VDA standard, for the exchange of material data in the automotive industry, as part of design CAE and for general engineering workflows. 2. Nach langjähriger Erfahrung im Bereich der Ingenieursdienstleistungen, Übergang zum Kundenservice und technischen Vertrieb. 3. 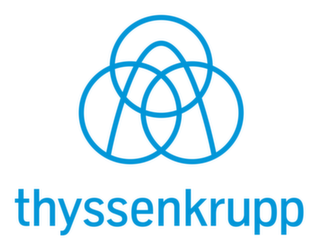 Seit 2016 im technischen Vertrieb als Vertriebsleiter bei der Key to Metals AG tätig in der aktuellen Position des Vertriebsleiters für den deutschsprachigen Markt (DACH) und mit Hauptprodukt die Total Materia Werkstoffdatenbank aber auch andere Lösungen im Rahmen von Datenverwaltung und Software für Ingenieure. Hauptaufgaben sind der Vertrieb, die Kundenbetreuung und das entsprechende Accountmanagement. Against the background of the current conversations around NOx emissions, alternative environmentally-friendly vehicle concepts and the demand for conserving resources, lightweight construction is increasingly perceived by the end customer as a desirable factor that adds customer value. The feasibility study for the lightweight seat follows this current trend, and in doing so it takes advantage of the bionically inspired process technology xFK in 3D, which is characterized by ultra-lightweight structures that are optimized for load-carrying capacity and strength. Another major challenge for the project is due to a step change in the strategic business field development, which demands an integrated, system-based understanding of the value creation chain. In the “Ultra-Lightweight Seat” partner project, a hardware prototype for an ultra-lightweight seat with a total weight of around 10 kg was developed completely from the ground up. During the course of the 7-month project, the initiators ALBA tooling & engineering, csi entwicklungstechnik and AMC worked together with the additional partners 3D|CORE, Robert Hofmann GmbH, LBK and covestro on the development of the virtual and physical prototypes. The ultra-lightweight construction of this concept is based on rigorous application of latest technologies. Innovative production and tooling technologies for nonwoven fabrics were developed. In addition, a new type of tooling concept was designed for a hybrid carbon fiber composite for lightweight construction based on single strands (via xFK in 3D) and for lightweight sandwich trim parts. The concept is rounded off by the use of metal and plastic 3D printing as well as sustainable and highly thermally conductive seat upholstery fabrics. Arbeitet bei Alba tooling & engineering GmbH im Bereich Forschung und Entwicklung und Projekt Management. Als Spezialist für die Weiterentwicklung und Optimierung von Anlagen zur Herstellung für Faserprodukte forscht er nach alternativen Produktionsmitteln, er ist für mehrere Patentanmeldungen verantwortlich. Intra-laminar reinforcing foam cores in conjunction with thermoplastic matrix systems and a standardized fiber structure deliver high-performance components. With the aid of this current material combination and optimized collaboration in the flexible supply chain, it is possible to create functioning parts that are ready or almost ready for series production in a very short space of time. These components can then be transferred into production along with any resulting adaptations after trialling. This systems stands out with short processing times, low investment levels and high sustainability. In the “#Ultra-Lightweight Seat” partner project, a brand new vehicle seat concept with a total weight of around 10 kg was completely reimagined from the ground up. As part of the 7-month project, which ran from August 2018 until February 2019, plastics manufacturing system specialist ALBA tooling & engineering, vehicle developer csi entwicklungstechnik and management consultancy AMC worked as the founding partners of the project together with the additional partners Robert Hofmann GmbH, Covestro, 3D|CORE and LBK Fertigung on the virtual and physical prototypes of a seat concept. The ultra-lightweight construction of this concept is based on rigorous application of latest technologies, including a hybrid carbon fiber composite for lightweight construction based on single strands (via xFK in 3D®), state-of-the-art foam and nonwoven material technology, metal and plastic 3D printing as well as ultra-lightweight foam core sandwich materials. 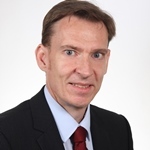 Herr Stefan Herrmann, Jahrgang 1986, hat bei der csi-Holding (Verwaltungs GmbH) in Neckarsulm die Position „Projektleiter Integration & Entwicklung Neue Technologien“ (Stabsfunktion als Assistent der Geschäftsleitung) inne. Er ist Projektleiter z.B. des Partnerprojekts 3i-PRINT (Metallischer 3D-Druck; Additive Manufacturing; Funktionsintegration) und Gewinner zweier GERMAN INNOVATION AWARDs des Rat für Formgebung im Jahr 2018. Das Projekt 3i-PRINT wurde 2017 in Zusammenarbeit mit den Firmen ALTAIR, EOS, HERAEUS, GERG und AIRBUS APworks veröffentlicht (weltweit erste vollständig 3D-gedruckte, funktional integrierte Aluminium-Fahrzeugfrontstruktur). In seiner täglichen Arbeit konzentriert Herr Herrmann sich auf strategische Themen und Konzeptentwicklung für verschiedene Automobil-OEMs und für die csi-Unternehmensgruppe. Seine Arbeit umfasst komplexe Leichtbau-Multimaterial-Spezialprojekte, wie z. B. in diesem Fall ultraleichte Fahrzeugsitze oder Hybridbauweisen. Herr Herrmann schloss sein duales Studium bei der Audi AG an der Technischen Hochschule Ingolstadt mit einem Abschluss in Maschinenbau ab, nachdem er eine Ausbildung als Kfz-Mechatroniker bei der Audi AG absolviert hatte. Nach dem Studium forschte er mehrere Jahre am Zentrum für angewandte Forschung der Technischen Hochschule Ingolstadt und der TU Dresden. Parallel zu seiner Arbeit hat er vor kurzem seine Dissertation im Bereich Leichtbau und Strukturmechanik im Automobilbereich mit dem Thema: "Zur Strukturüberwachung der Rohkarosserie des Kraftfahrzeugs bei profilintensiver Bauweise" am Institut für Leichtbau und Kunststofftechnik der Technischen Universität Dresden eingereicht. Herr Herrmann verfügt über umfangreiche Erfahrung mit verschiedenen OEMs wie AUDI, BMW, HONDA und LAMBORGHINI in den Bereichen der Materialwissenschaft, Fahrzeugkarosserie- und Fahrzeuginterieur-Entwicklung, Erfahrung im Gesamtfahrzeug-Umfeld sowie dem konzeptionellen Leichtbau. Er hat mehrere Artikel im Bereich Leichtbau veröffentlicht sowie verschiedene Keynotes und Vorträge auf Konferenzen im Zusammenhang mit Faserverbundwerkstoffen, Strukturmonitoring, Karosserieentwicklung, Interieurentwicklung, Additive Manufacturing und Simulationsgetriebenem Design gehalten.